The Best Coffee Companies and brands have all contributed to the success of the coffee industry, by advancing some aspect of the coffee experience to consumers everywhere. This has led to brand notoriety and commercial success for many, while newcomers are always upending the traditional model. How many do you recognize? Taking pride in being a leader in upscale appliances known for their quietness and efficiency, including coffee makers and espresso machines, the Bosch company markets its products in more than 100 countries. Bosch sells several coffee makers including the Benvenuto Built-In Coffee Machine that uses the company’s “AromaSwirl” variable brewing system; the Benvenuto 30, another built-in fully automatic coffee machine that also produces espresso and is programmable, featuring a 215 psi (15 BAR) thermo block-pump pressure system as well as an automatic grinding system; and also a coffee maker machine produced with Tassimo that has these same features. The Bosch company has its origins in the opening of the Workshop for Precision Mechanics and Engineering by Robert Bosch in 1866. A German engineer, Bosch’s company grew and in 1906 the first United States subsidiary of the Bosch company was established. The following century was fruitful for the company, which became Robert Bosch LLC. Bosch had 41 subsidiaries throughout the world in 1990, and in 1997 made a major commitment to the United States market by opening a major plant (appliance park) in North Carolina and becoming the only United States manufacturer with complete product lines of ENERGY STAR® qualified washers, dishwashers, and refrigeration units. Today Bosch home appliances is a subsidiary of BSH Bosch and Siemens Home Appliance Group, one of the world’s largest appliance manufacturers. The Braun company was founded as an engineering shop by mechanical engineer Max Braun in 1921. Among the many products sold by Braun today are coffee makers and coffee grinders. Braun’s LCD Premium Brewer (T65) features a multi-lingual LCD display and a water filtration system. Braun’s KF600 Impressions 10-Cup Thermal Coffeemaker includes a water level indicator and a Brita water filter that removes chlorine and helps to prevent calcification. The coffee flows directly into a stainless steel thermal pot. The Braun Tassimo T-Disc Single Serve Coffee Maker (TA1400) features the patented T-Disc system with barcode technology that tells the coffee machine precisely how to brew the particular beverage (e.g., brewing temperature and time, amount of water). A Canadian importer/roaster of coffees, specializing in the Canadian market. BuyCoffeeCanada Also carries specialty coffee products like Torani syrups and David Rio chais. This United States company sells high-end coffeemakers as well as espresso machines and coffee grinders. In a joint venture with Switzerland’s Jura AG, Capresso markets the Jura-Capresso automatic one-button coffee maker. Founded in 1994 by Michael Kramm, the former president of Krups, Capresso sells a sells a drip coffee maker that contains a heating element lined with stainless steel, and also sells a programmable coffee maker that includes a built-in conical burr grinder. The company name, Capresso, comes from a combination of the words cappuccino and espresso. The innovative company is known for their patented designs focusing on providing very high quality, finely engineered products with user-friendly features including one touch cappuccino buttons and high-pressure brewed coffee that extracts more flavors and aromas than other brewing methods. Most famous for their food processors, the Cuisinart company also produces a variety of kitchen appliances including the popular Cuisinart coffee maker called the Grind & Brew Thermal™ 10-Cup Coffeemaker. Cuisinart also sells single serve brewing systems (single serve coffee makers), thermal coffee makers, programmable conical burr mills (conical burr grinders), and programmable espresso makers. The Conair Corporation purchased Cuisinart after the company filed for bankruptcy in 1989. The term cuisinart is so popular that is has become virtually synonymous with the term food processor. DeLonghi is an Italian company based in Treviso and sells a variety of coffee makers and espresso machines (espresso coffee makers). The A & P supermarket chain began selling coffee in 1859 and then in 1919 introduced the Eight O’Clock Coffee trademark. Today Eight O’Clock Coffee is a major national brand. The company’s name comes from a survey they did to determine the most popular times to consume coffee, which was revealed to be both 8 a.m. and 8 p.m.
During the 1920s and 1930s Eight O’Clock Coffee was the world’s best selling coffee (predominantly whole bean coffee sales) though the distribution was only in the United States’ Midwest and East Coast. Eight O’Clock Coffee began a major national expansion in 1979 and its subsidiary, Compass Foods, started selling the coffee to other retail outlets. Today Eight O’Clock Coffee is one of the United States’ top selling whole bean coffee s and the third largest by volume in the United States. The coffee is roasted in Landover, Maryland. In 2003 Eight O’Clock Coffee began selling pre-ground coffees. The company sells only Arabica coffee beans and Arabica Coffee. Established in 1854, the Ellis Coffee Company is one of the mid-Atlantic region’s largest family-owned roasters selling coffees, teas, and other products to many restaurants and hotels. The Folgers Coffee Company was started by James Folgers in 1872 after he bought out his partners in the Pioneer Steam Coffee and Spice Mills Company and renamed it J.A. Folger & Company. Folgers died in 1889 and the company was run by his son James A. Folger II. As the company continued to grow rapidly, their main product was bulk-roasted coffee sold to grocery stores in sacks and drums, and then was scooped out and sold to the consumer. The Folger Coffee Company began its rise to prominence much later under the leadership of James A. Folger’s great grandson, Peter Folger. Then in 1963 Folgers was purchased by the Procter & Gamble Company of Cincinnati, Ohio and they began distributing the product nationally under the Folgers Coffee Company name – Folgers was soon the top coffee brand in America. One of Italy’s top coffee machine makers, Gaggia S.p.A. produces both commercial and home espresso machines and cappuccino machines. Gaggia was started in 1948 by Achille Gaggia, who in 1946 was responsible for somewhat perfecting the espresso machine (espresso coffee maker) design by using a piston and a spring-powered lever system to create high pressure for extraction to brew espresso. This method produced a thick layer of crema, the top foamy layer containing the coffee’s best flavors and aromatic properties. Today Gaggia manufactures their coffee machines in Milan at their Robecco sul Naviglio plant, including their Gaggia Titanium super automatic espresso machine. In 1999, Gaggia was purchased by Saeco, which is a division of the electronic company Philips. A subsidiary of Kraft Foods, Gevalia sells coffee as well as single serve coffee makers that use T-Discs. More than 40 varieties of tea and coffee are sold by Gevalia, which is the largest roastery in Scandinavia. Founded in Gavle (Gevalia), Sweden in 1920, Gevalia was a family-owned company until 1971 when it was sold to General Foods, the predecessor of Kraft Foods. Gevalia began selling coffee in North America in 1983 and now sells coffee for the Tassimo Beverage System. Gevalia also sponsors educational programs on sustainable agriculture and food programs for rural communities as well as medical aid for those in need. Green Mountain’s 2009 revenue’s exceeded $700 million. The company went public in 1993 and is listed under the stock symbol GMCR on the NASDAQ Global Select Market. Through their subsidiary called Keurig, which Green Mountain purchased in 2006, they sell single-cup brewing systems as well as the K-Cups (including coffee K-Cups) that these systems use, offering various coffee flavors and blends as well as tea and other beverages and soups. Green Mountain sells only Arabica coffee beans, and among their choices are certified organic and Fair Trade Certified products. They also sell flavored coffees under the Newman’s Own Organics brand. Green Mountain Coffee Roasters was founded in 1981 in Vermont with the opening of a small cafe that roasted and served coffee. Soon they supplied local inns and restaurants and the company grew from there. The company’s headquarters and 8,400-square-meter (90,000-square-foot) roasting and distribution facility is still located in Vermont. Green Mountain Coffee sells more than 25 million pounds of coffee annually and has more than 8,000 wholesale customer accounts serving specialty food stores, supermarkets, restaurants, hotels, and other clients including Bruegger’s bakery-cafes as well as more than 600 McDonald’s restaurants in the Northeast United States (which serve Newman’s Own Organic Blend). Green Mountain coffee K Cups (K-Cups) are very popular due to their high quality contents and ease of use. This coffee company was founded in 1900 by Maine-born Austin Herbert Hills (formerly a builder of clipper ships) and his two sons, Austin Herbert Hills II, born in 1851, and Reuben Wilmarth Hills I born in 1856. The Hills family packed roasted coffee in tins which they vacuum sealed. In 1906 they incorporated under the Hills Brothers name and continued to grow. Austin passed away in 1933 and his brother the following year but the company endured. Hills Brothers began selling coffee in glass bottles during World War II. Hills Brothers bought the manufacturing facilities and name of the Chase & Sanborn Coffee Company in 1984, and the following year the Hills Brothers brand was purchased by the Nestle company. In 1999, Nestle sold the Hills Brothers brand to Sara Lee, which sold it to Massimo Zanetti Beverage in 2005. This large international company based in Trieste, Italy sells coffee and coffee-related products in at least 140 countries on all five continents and served in more than 50,000 restaurants and coffee bars. Several companies make up the Illy group with more than 700 employees working in North America, Germany, France, Spain, Lebanon, and Benelux. Illycaffe is also a brand of coffee that is a coffee blend packaged as whole bean coffee, ground coffee, E.S.E. pods, or Hyper Espresso Capsules. Illy’s blend is comprised of nine types of Arabica Coffee from Brazil, Africa, India, and Central America. This blend is offered in two roast levels (medium and dark), and also decaffeinated and packaged in a pressurized can. Grind levels include fine grind (for espresso), medium grind (for automatic drip coffee makers and French Press coffee), and whole bean coffee for those who like to do their own grinding. Also available is a Moka grind that is designed to be used in a Moka Pot. Illy was founded by the Francesco Illy family from Hungary. Francesco remained in Trieste after going there as an officer during World War I and the town had come under the rule of Italy. Francesco started his coffee and cocoa business in 1933, soon focusing wholly on coffee. In 1935 Francesco invented the predecessor of today’s espresso machines, and this was the first automatic coffee machine. Illy also created a new pressurized packaging method using inert gases. Francesco’s business grew quickly and he began selling coffee throughout Italy. Francesco’s son, Ernesto Illy (1925-2008), took over the company after the Second World War. Ernesto also started a research laboratory that began to create new products and inventions, with new patents being granted. As a researcher and scientist himself, Ernesto facilitated agreements with research centers and universities. Ernesto continued to improve products and promote premium gourmet coffee worldwide. Ernesto’s sister Anna Illy and his brother Ricardo Illy serve on the Board and his son Andrea Illy is the CEO and chairman. Illy began purchasing coffee directly from producer sources in the 1980s, rather than from international commodity markets. In 2009 Illy entered a partnership with The Coca-Cola Company creating a line called illy issimo and comprised of coffee-flavored drinks called Latte Macchiato, Cappuccino, and Caffe. Illy also has been sponsoring the Trieste Science Prizes since 2004, funding two $50,000 prizes that are awarded to outstanding scientists from the developing world. This brand of coffee originated in 1895 by Iohann Jacobs in Germany. Today Kraft Foods, which purchased the company in 1990, markets Jacobs in Europe. Jacobs coffee brands include Jacobs Cronat Gold, Jacobs Night&Day, and Jacobs Kronung, which may also be marketed as Jacobs Monarch. Completed a merger with Folgers Coffee Company (a Procter & Gamble Company subsidiary) in 2008. Folgers uses their registered Mountain Grown® label on their beans. A subsidiary of Green Mountain Coffee Roasters, Keurig introduced their innovative single-cup brewing system in 1998. The coffee makers are designed to brew single cups of coffee and tea in less than one minute without any need for preparation or clean-up. The coffee grounds are contained in coffee K-Cups that are inserted into the brewing machine. Once the start button is pushed the machine brews the single cup, and can also provides hot water for tea or other beverages. Keurig offers K-Cups for the products from various beverage makers, coffee roasters and tea makers, and also offers Fair Trade products as well as organic products. The Keurig brewing machine pierces the bottom of the plastic K-Cup® while also piercing the foil sealing the top of the K-Cup with a spray nozzle forcing pressurized hot water through the material (e.g., ground coffee) contained in a paper filter within the coffee K-Cup. The coffee beverage then drains into a waiting mug. Keurig sells both home and commercial models. Some commercial models are plumbed-in and also automatically remove used K-Cups into a disposal receptacle. Keurig sells five household models of K-Cup brewers: the Mini, Platinum, Special Edition, Elite, and Breville (made by Breville. There are also seven commercial models including the DeskPro, OfficePro, B140, B150, B155, B200, B3000SE. Keurig also offers an environmentally-friendly re-usable filter called the My K-Cup which allows users to provide their own ground coffee. Other companies also produce K-Cups including Timothy’s World Coffee (Timothy’s K cups), and coffee K-Cups are also referred to as K Cup Coffee, K Coffee Cups, K Cups, and K Cups for Coffee. Owner of Maxwell House instant coffee company, which is a division Kraft Foods, Inc. Kraft is the United States’ biggest food, beverage, and confectionery corporation and the world’s second biggest behind the Nestle company. Kraft is headquartered in Illinois and Switzerland, and markets their products in more than 150 countries. Maxwell House is the United States’ second biggest coffee company behind Folgers Coffee Company. This international company based in Germany makes a variety of coffee makers, espresso machines (espresso makers), and coffee pod brewers. The Italian company Luigi Lavazza S.p.A. produces coffee products in Turin, Italy and continues to be run by fourth generation descendants of the Lavazza family founders with four production facilities in Italy and subsidiaries in numerous countries and markets their products in about eighty countries. Lavazza imports coffee from around the world. Renowned for their Lavazza espresso, Lavazza operates numerous retail coffee shops, and has also started a sustainable agriculture program in Colombia, Honduras, and Peru. Maxwell House dominated the United States coffee industry until the late 1980s when Folgers displaced them from the top position. Maxwell House currently remains in second behind Folgers. The Maxwell House coffee company had its beginnings when Joel Cheek developed a coffee blend for Tennessee’s Maxwell House Hotel in 1892. The Nashville hotel became quite popular, and soon the hotel owner began serving the popular blend exclusively and called it Maxwell House coffee. The slogan “Good to the last drop” has been used by Maxwell House since 1917. In 1928 the company’s name became Maxwell House Products Company and the following year the name was changed to General Foods Corporation. In the 1930s the Maxwell House company ran advertisements claiming that their popular slogan “Good to the last drop” came from a statement made by President Theodore Roosevelt when he visited the Nashville estate of Andrew Jackson in 1907. Maxwell House later retracted their claim, and admitted that the words were actually written by Clifford Spiller, who had been the president of General Foods Corporation. Nestle purchased Maxwell House in 1985 and then sold it to Sara Lee in 1999 and then to Massimo Zanetti Beverage USA in 2005. Products currently offered by Maxwell House include: Maxwell House Coffee Master Blend; Maxwell House Coffee Regular; Maxwell House Coffee Special Delivery (pre-packaged in a filter); Maxwell House Coffee French Roast; Maxwell House Coffee Decaf; Maxwell House Coffee Special Delivery Decaf (pre-measured filter pack). A United States coffee brand and a division of the J.M. Smucker Company, Millstone sells both whole bean coffee and ground coffee. Millstone Coffee Company was founded in 1981 in Washington by Phil Johnson who began selling quality Arabica coffee beans to Seattle’s high-end coffee shops and then pioneered the idea of selling whole bean coffee to supermarkets. Procter & Gamble purchased Millstone in 1996 and Phil Johnson went on to found Cascade Coffee company in Washington. Procter & Gamble merged with Folgers in 2008 and formed the independent Folgers Coffee Company which included commercial and retail divisions as well as Millstone Coffee. Founded and headquartered in Vevey, Switzerland, the Nestle company had its origins in 1905 with the merger of the Farine Lactee Henri Nestle Company (established by Henri Nestle in 1866 to provide infant food) and the Anglo Swiss Milk Company (also established in 1866). Today Nestle S.A. is a multinational packaged food company with a market capitalization of more than 87 billion Swiss francs and is listed on the SWX Swiss Exchange. The Nestle company saw profits and growth during the first world war (due to dried milk sales), but during the second world war profits decreased dramatically. Soon its Nescafe instant coffee product would be widely used by the United States military, establishing the company as a major force in providing coffee. Nescafe was initially developed by scientists Vernon Chapman and Max Morgenthaler, and Nestle began selling Nescafe on April 1, 1938. Though the Nescafe brand was used well into the 1960s, it was eventually supplanted by the Nestle brand Taster’s Choice. The Nescafe brand was then reintroduced in 2003 in the United States and now goes by the name Nescafe Taster’s Choice available in either plastic packaging or glass. The Nescafe brand now serves as an umbrella brand for various instant coffee products including the Blend 37 and Gold Blend freeze-dried coffee brands sold in the United Kingdom. A company born out of the Newman’s Own company founded by Paul Newman and A.E. Hotchner in 1982, Newman’s Own Organics has partnered with Green Mountain Coffee to offer seven Fair Trade organic Arabica Coffees including the light-roasted Colombian Especial, the almond-flavored organic Cafe Almond Biscotti coffee, Newman’s French Roast, Nell’s Breakfast Blend, the chemical-free, water-processed Newman’s Special Decaf, the full-bodied Newman’s Special Blend, and Vanilla Caramel. Proceeds are donated to charitable and educational organizations. Today one of the United State’s most prominent coffee roasters and retailers, Peet’s Coffee & Tea had its origins in 1966 when Holland-born Alfred Peet opened the first Peet’s Coffee & Tea store in Berkeley, California. Having grown up in the coffee trade, Alfred Peet was appalled at the low quality of coffee being consumed in America and his store emphasized fresh, high-quality coffee beans and utilized a darker roasting style than was common at the time. By 1969 the store was thriving and Peet went on to influence many others towards producing specialty coffee including the founders of the Starbucks chain which was supplied with coffee beans by Peet’s during Starbuck’s first years of operation. Alfred Peet passed away in 2007 and he is known as the grandfather of gourmet coffee. Headquartered in Cincinnati, Ohio, Procter & Gamble purchased the J.A. Folger & Company in 1963 and began distributing their bulk-roasted coffee product nationally under the Folgers Coffee Company name. Today Procter & Gamble is a major American multinational corporation and the world’s eighth largest corporation (by market capitalization) and the United States’ 14th most profitable company. With headquarters in Bologna, Italy, Saeco is a major manufacturer of espresso machines (espresso makers) and coffee makers. Founded in 1981, Saeco introduced the first totally automatic espresso machine for home use in 1985. In 1999 Saeco purchased the Gaggia brand. Then in 2009 Saeco was purchased by Philips, a company that also owns Senseo. Today Seattle’s Best Coffee is a Starbucks subsidiary that is a gourmet coffee wholesaler and retailer based in Seattle, Washington with grocery sub-stores and retail stores in 20 states and provinces. Founded in Coupeville, Washington in 1968 by Jim Stewart and his brother Dave, the company was originally known as the Wet Whisker and served coffee and ice cream. The company was known as Stewart Brothers from 1969 until 1991 when it became Seattle’s Best Coffee. AFC Enterprises bought Seattle Coffee Holdings in 1998 and named the company Seattle Coffee Company (SCC) and made improvements to their roasterie on Vashon Island while also beginning to offer organic coffee. AFC’s business operations ran into major trouble when the accounting firm of Arthur Andersen suffered severe financial troubles, and in 2003 AFC Enterprises sold Seattle’s Best Coffee to Starbucks though franchise rights for eleven countries were retained by AFC, as were franchise rights for Hawaii and for United States military bases. Starbucks then closed the roasterie at Vashon Island and concentrated all of their coffee production at their roasterie in Kent, Washington. Those franchise rights were then sold in 2004 to FOCUS Brands, Incorporated, which was an affiliate created by Roark Capital Group. In 2004 Seattle’s Best contracted with the Border’s bookstore chain to convert the in-store cafes at Borders to Seattle’s Best cafes. Seattle’s Best is also sold in many major United States retail outlets as well as on the 21 ships of the Cruise Line fleet of Royal Caribbean International. A subsidiary of the Sara Lee Corporation, Senseo produces coffee brewing systems that utilizes Senseo coffee pods to be brewed with their Senseo® single serve coffee pod system. In 2007, Senseo introduced a new model called the Senseo New Generation that uses Senseo coffee pods and accommodates larger mugs or cups and a larger reservoir as well as other features. In 2008, the Senseo Latte Select coffee maker was introduced – the machine uses Senseo pods and brews regular coffee as well as producing Caffe Lattes, Cappuccinos, and Latte Macchiatos using brewed coffee rather than espresso (the machine includes a milk reservoir). The Senseo Quadrante model was introduced in 2009 featuring a newly designed coffee pod holder, a larger water tank, and variable mug height. 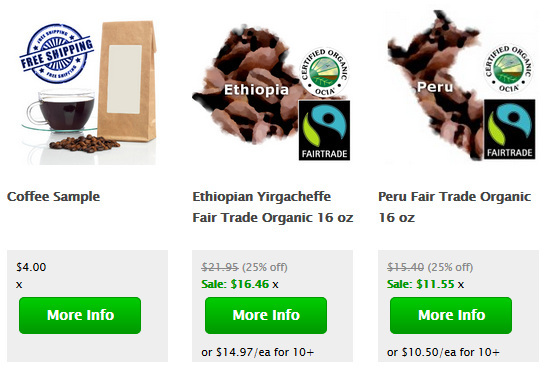 Various pod coffee blends are available as well as decaffeinated coffee and flavored coffees. Today an international coffeehouse chain and coffee retailer, Starbucks is the world’s largest coffeehouse company with more than 16,000 stores in more than 48 countries. Based out of Seattle, Washington, Starbucks sells various coffee beverages as well as food products, coffee brewing equipment, and gifts. The Starbucks Entertainment division also markets music, books, and films, and Starbucks-brand ice cream is available in major grocery stores. The first Starbucks opened in Seattle’s Pike Place Market in 1971 with coffee being supplied by Pete’s Coffee & Tea. Starbucks eventually began to buy coffee directly from producers and by 1982 was providing coffee to many restaurants. When Starbucks’ director of retail operations and marketing Howard Schultz visited Milan, Italy in1983 and noticed how popular espresso bars were, the company decided to test the idea in downtown Seattle and it was a great success, leading to the rapid growth of the company in the United States. With their Tassimo Hot Beverage System, developed by Kraft Foods and first introduced in France in 2004, Tassimo is a popular provider single serve coffee makers as well as espresso machines. The Hot Beverage System was initially manufactured by Saeco and distributed by Braun, with the newest models being made by Bosch. The machines use a coffee pod known as a T-Disc. Tassimo sells three models of single cup coffee makers, all of which use T-Discs (Tassimo coffee pods or Tassimo discs), which are produced by Kraft. A unique bar code on the T-Disc label is read by the machine in order to determine the proper way to brew the coffee beverage, including the brewing temperature and time (from 30 to 60 seconds) as well as the amount of water dispensed as well as milk for drinks needing milk (e.g., cappuccino, latte, cafe crema, hot chocolate) – the milk used is UHT milk (Ultra-high temperature milk). The three models of Tassimo brewers are Tassimo Premium, Tassimo Suprema, and Tassimo Intermediate. Among the various coffee brands available in T-Discs are Seattle’s Best, Gevalia, and Jacobs. Founded in 1975, Timothy’s is a coffee retailer that sells single serve brewers and coffee K-Cups as well as coffee pods, ground coffee, and whole bean coffee. Timothy’s World Coffee was purchased by Becky and Ian McKinnon in 1986. The McKinnons grew the company by adding a wholesale coffee division, increasing the number of retail locations, and becoming a roasting partner of Keurig. Timothy’s also began producing K-Cups (including coffee K-Cups) for Keurig’s single serve brewers. The wholesale business of Timothy’s was purchased by Green Mountain Coffee Roasters in 2009 and their retail business was purchased by Bruegger’s Enterprises. Timothy’s roasts coffee in Toronto, Canada, where the company also produces its various coffee products. In the late 1990s Timothy’s was the second largest coffee house chain in New York City behind Starbucks. After the 2001 attacks on the World Trade Center Timothy’s closed its American operations and focused solely on its wholesale operations in Canada. Timothy’s operates about 100 stores in Canada while also operating a wholesale coffee business, packaging coffee in coffee K-Cups for Keurig, and supplying coffee for many offices grocery stores, hotels, and other establishments. 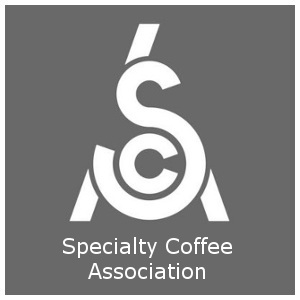 Our company, Sea Island Coffee, is a gourmet coffee supplier specialising in rare and exotic coffees including the famous Jamaica Blue Mountain, Hawaii Kona and Kopi Luwak Civet Cat coffees . Located in the United Kingdom, Sea Island Coffee supplies whole bean, filter, cafetiere and espresso ground roast coffees. Sea Island Coffee delivers coffee internationally by air mail. We would be honoured to be part of this incredible Coffee Guide. Thank you for the list of these great companies. Emery Coffee Company (http://www.emerycoffee.com) is honored to be listed on this page as a supplier of fresh roasted award winning coffees and teas. Roasters of the Year, Cup of Excellence winners, National and World Champions, single origin coffees, killer blends, and awesome espressos – we have it all. Pull up a chair and have a cup of joe!